I am a lung transplant recipient Nov. 21, 2014 from UMMC. New Board member of TRIO Maryland. Volunteer at The Living Legacy Foundation. Member of and help manage the UMMC Heart and Lung Transplant Community. I have become an active member of the transplant community since receiving two liver transplants in 2014, one of which was a living donation from his son. A Vietnam veteran, I also served the community by participating in the American Cancer Society’s Relay For Life, and as a former President of the Our Lady of Hope/St. Luke School Athletic Association. I am now a member of TRIO Maryland, volunteer for the Living Legacy Foundation, and a Transplant Patient Mentor at the Johns Hopkins Hospital and University of Maryland Medical Center. I am a married and a father of four, and grandfather to nine. I enjoy photography and genealogical research in m spare time. Mary Wiedel is a heart transplant recipient. She received her new heart on January 2, 2014, after only being listed for about 28 hours. Her transplant was performed at the University of Pennsylvania Hospital (UPENN). When Mary was 26, her mother became very ill and it was discovered the large family clan is widely affected by one form of the genetic heart disease known as Familial Hypertrophic Cardiomyopathy. Many years after the discovery, Mary began experiencing congestive heart failure and also was exhibiting an enlarged heart with very thick, rigid muscles. Her heart became a very poor pump! Mary and 2 of her first cousins have since received heart transplants. One of Mary’s cousins, Paul, actually received his new heart in the same hospital within 8 days of Mary’s transplant. 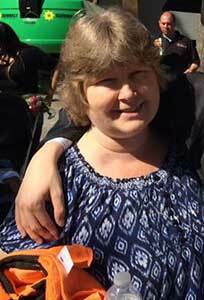 Professionally, Mary is a certified Elementary and Special Education teacher. After teaching for 28 years and having her transplant, Mary’s family life is now her full-time career and top priority! 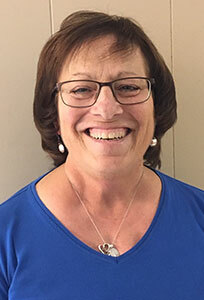 After receiving her new heart and gaining her “new life,” Mary enjoys being retired in order to spend more time with Kevin, her college sweetheart and husband of 42+ years, their three married children, their spouses and their eight beloved grandchildren. Friends, church, bible study, traveling and playing with grandchildren, fill Kevin and Mary’s days. 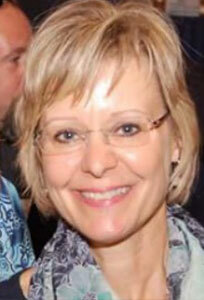 Mary is very active in Trio Maryland as a member and she is the Secretary on the TRIO Board. Mary is an active ambassador for Living Legacy Foundation, volunteering throughout the year at a variety of events. In order to honor her donor and all donor families as well as all current transplant recipients and future transplant recipients, Mary is dedicated to encouraging people to register as organ and tissue donors! 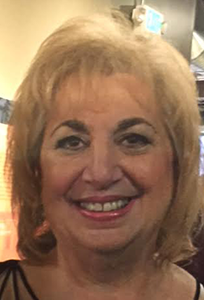 Marty has been the President of TRIO Maryland from 2012 – 2017. Marty also served on the TRIO National Board of Directors for 2 years. 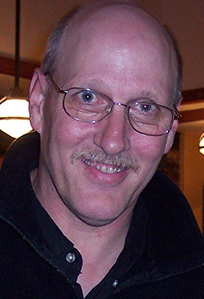 Marty received a life saving liver transplant on November 2009 at Johns Hopkins Hospital. Since the recovery he has been a speaking ambassador for The Living Legacy Foundation and Donate Life Maryland. Marty & Michele manage a team in the Living Legacy Fun Run called “Team Miracle”. “Team Miracle” has been a participating team since 2010. 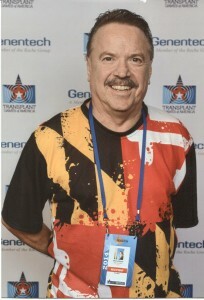 Marty is a member of Team Maryland and have been to the last 3 National Transplant Games and 1 World Transplant Games. Marty has been a volunteer at Johns Hopkins Hospital Comprehensive Transplant Center for the last 7 years. 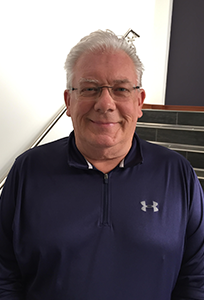 Marty is currently a mentor for transplant recipients and recently help launch a walking program called “Stepping Out” for transplant patients. Marty & Michele have been married 18 years and enjoy traveling and spending time with family and friends. 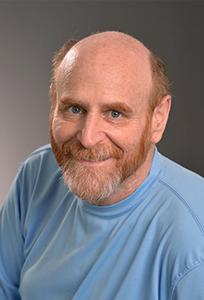 Marty retired in 2013 and enjoys managing a nonprofit organization to benefit transplant recipients and their families. Michele and Marty have been married for 18 years. They enjoy traveling and are avid sports fans enjoying both the Ravens and Orioles. They are members of the Baltimore Museum of Art and never fail to visit a museum when visiting other cities. Michele attended the 2012, 2014 and 2016 Transplant Games and the 2017 World Transplant Games in Malaga Spain along with her husband Marty who participated in all. Zivah Ring has been involved in the transplant community for many years. Her husband Steven had a liver transplant in October of 2007. Since the transplant, Zivah has volunteered at Johns Hopkins Hospital in various capacities. She started by volunteering at the Comprehensive Transplant Center and is now serving on several hospital councils and committees. Zivah is also a founding board member of TRIO-Maryland. She has been married to Steven for over 30 years and has two sons and a daughter in law – Adam, Eric and Kaci. Zivah is an active Real Estate investor and the family owns Blue Point Crab House. She and her husband share their time between Maryland and Florida. Jane Gerber has been a social worker with the University of Maryland Medical Center since 1996. Until May of this year Jane was on the liver transplant team, and then transferred to the heart/lung/VAD team. She was just appointed to the Board of TRIO Maryland in 2015. Jane is married and she and her husband enjoy spending time with their extended family members, all of whom live in Maryland. 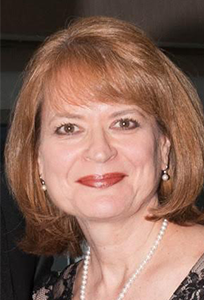 Donna Avara Bright has been a member of TRIO since 2013 and a Board member since January 2015. Donnas’ connection to TRIO Maryland and the world of transplant is three phased.Donna started out as an OR nurse for 15 years and worked with LLF to schedule donor times for organ procurement. When Donnas’ sister in law needed a kidney transplant, her husband stepped up to be her donor 5 1/2 years ago. 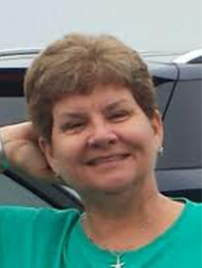 And finally, Donna was looking for a change in her life and when a position to be coordinator for the liver program opened up at a transplant center in Baltimore it was the opportunity Donna was looking for. It was a challenge to learn new skills and meet new people but it was exciting too. 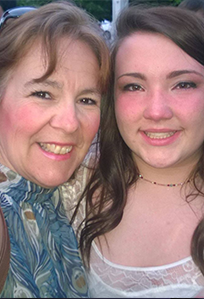 Donna began phase three of her journey in April 2013 and has loved every minute of it. Donna loves her patients and sees them all as individuals. Donna gives herself the challenge of remembering something unique about each and every one of them and with almost 250 patients, it can be challenging. 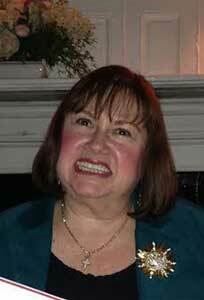 Donna is married with 5 children and 2 grand daughters. When not working and being a wife, mother and Nana, Donna is a people watcher, attending sporting events and hanging out with friends. Laura Conroy has been active in the transplant community as a nurse for over twenty years, providing patient care and education throughout the transplant continuum as well as transplant education for medical professionals. She is currently the Program Development Manager for solid organ transplant at the Johns Hopkins Hospital and joined TRIO as a board member in 2015. She has been married to her husband Tom for twenty years and together they have two sons-Trey and Chris. She enjoys travel and spending time with friends and family. 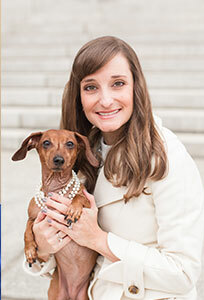 Heidi is The Living Legacy Foundation of Maryland’s representative on the TRIO Maryland’s Board of Directors. Heidi is a Family Services Coordinator at LLF where she assists families in making decisions related to organ and tissue donation and supports them throughout and after the donation process. She is happy to see the transplant recipients in TRIO leading such full and productive lives! She participates in many of LLF’s community events helping to raise awareness about donation and further their mission. Heidi has been married to Vince for thirteen years and is a proud mother to three rescued fur babies. In her spare time she enjoys do it yourself projects, health/nutrition/exercise, and advocating against farm animal cruelty. I received a live liver donation in January 2016 after being diagnosed with Alpha-1. Since that time, I have worked tirelessly to share the word of donation by volunteering for the Living Legacy foundation and as a theatre artist. I have visited many high schools in Baltimore discussing a recent production of UNDER THE SKIN at the Everyman Theatre. I have been interviewed by the Baltimore Sun, Baltimore Magazine, Baltimore Style, CBS news and WYPR on my relationship to the play. I am a college professor at Towson University where I have discussed transplants with many students and colleagues. I would like to serve if asked by my fellow TRIO Maryland family. My name is Vickie Lynn Avara , I received a life saving kidney transplant on February 9, 2010 during the blizzard from my brother-in-law Chris Bright who happens to be Donna Bright’s husband. I was diagnosed with full blown kidney failure in December 2007 after a long history of urinary tract infections. After receiving my life saving kidney transplant I decided I wanted to give back to the transplant community. I became a donate life ambassador for the living legacy foundation and shared my story on how organ donation saved my life and encouraged others to become organ donors. I also volunteer at the annual family fun run, I am a TRIO member and volunteer at the annual transplant conference every year. I am also a volunteer at Johns Hopkins Hospital on the transplant unit. I love to share my story and encourage others to become organ donors and become involved pre and post transplant. I am happily married with 2 sons Benjamin and Michelangelo (26 and 17). I work a fulltime job as an Occupational Therapist in the Howard County Public School System. I have worked on numerous committees and clubs for my profession and church community. 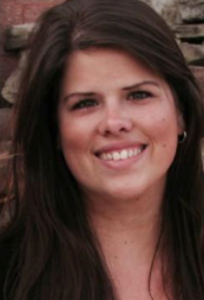 Allison Brown is a post-kidney transplant nurse coordinator at Johns Hopkins. She became passionate about transplant patients after previously working on a Neuro Critical Care unit, where she cared for many patients who were deceased donors and worked closely with donor families. Her transition to working with transplant recipients first started in her former position as a kidney transplant nurse educator in the community where she was introduced to TRIO Maryland and its members and worked closely with the staff at Living Legacy Foundation. She is excited to have become a new member of the TRIO board in the fall of 2016. She enjoys traveling, doing anything outdoors and spending time with family and friends.